Architectures across the globe have been working on building projects that do more than simply provide a roof over our heads. 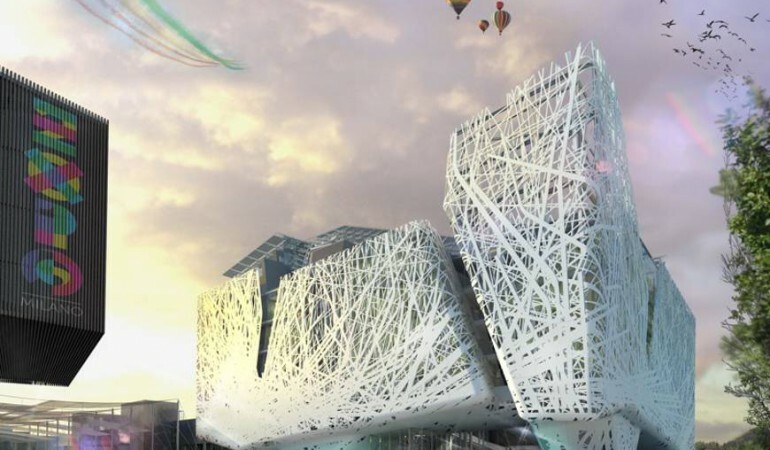 The architectural team behind the ‘Palazzo Italia’ is working to transform the surrounding environment with their latest building in Italy – a structure that actually purifies the air around it. 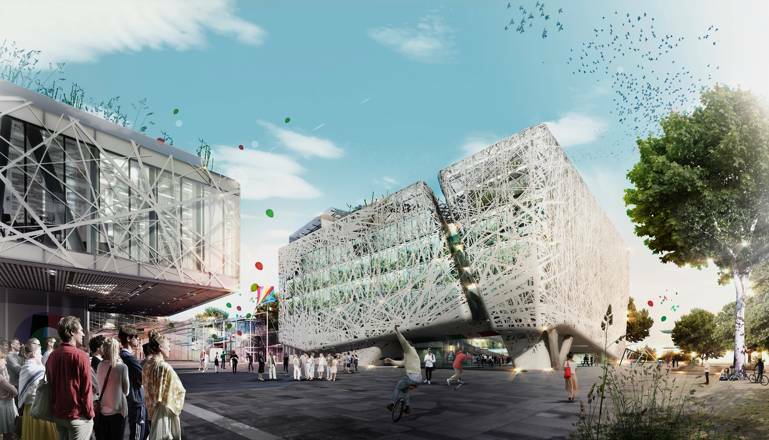 The structure is set to be the main part of the 2015 Milan Exposition, an expo that is centered around design that is working to protect and maintain our planet and its resources. 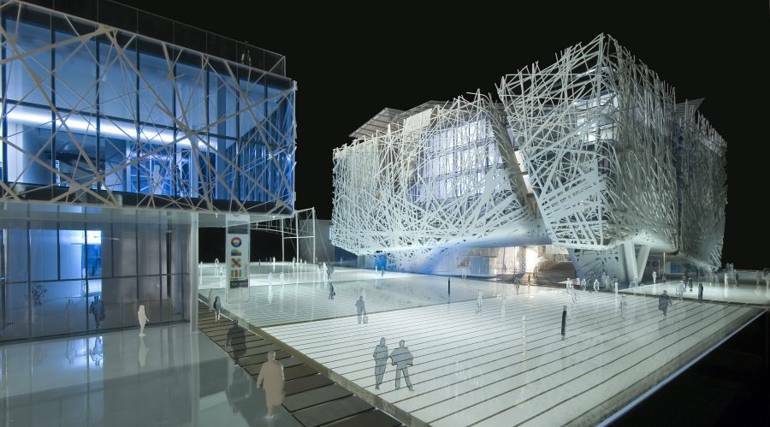 The building will nourish the air supply of the expo’s 20 million expected visitors. The team behind the design – Nemesi & Partners – modeled the general image on a forest. 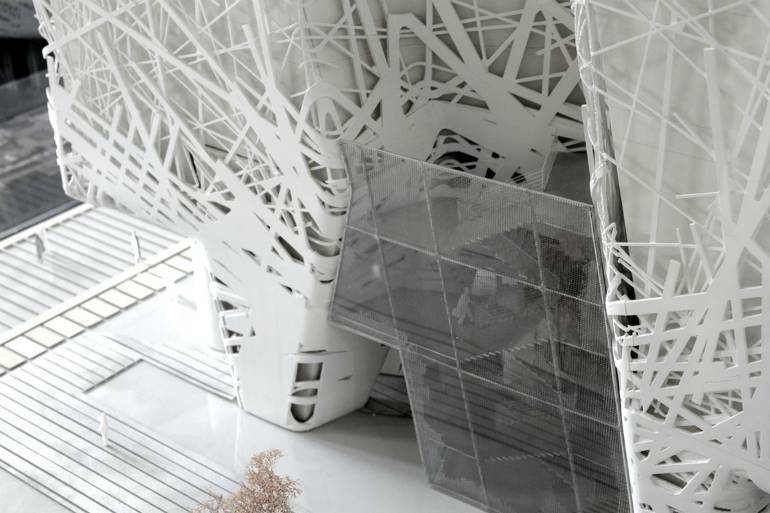 The ‘branch-like skin’ of the 9,000 square meters structure is set to be made from 900 panels of ‘i.active BIODYNAMIC’ cement that will ‘inhale’ air pollutants and convert them into inert salts. The concrete will break down nitric and nitrogen oxides when exposed to sunlight and therefore acts as a large smog filter. ‘The branching pattern of the external cladding of Palazzo Italia coherently interprets the theme of the tree of life, inserting it in the form of a petrified forest’. As well as purifying the atmosphere surrounding the building, the pavilion will also generate energy due to the installment of photovoltaic glass. Along with an exterior of solid and void, this will illuminate the interior’s open square which will serve as the entry foyer for its guests and visitors. This leads off to four connecting blocks that are set to host exhibitions, the auditorium, and office and conference areas. 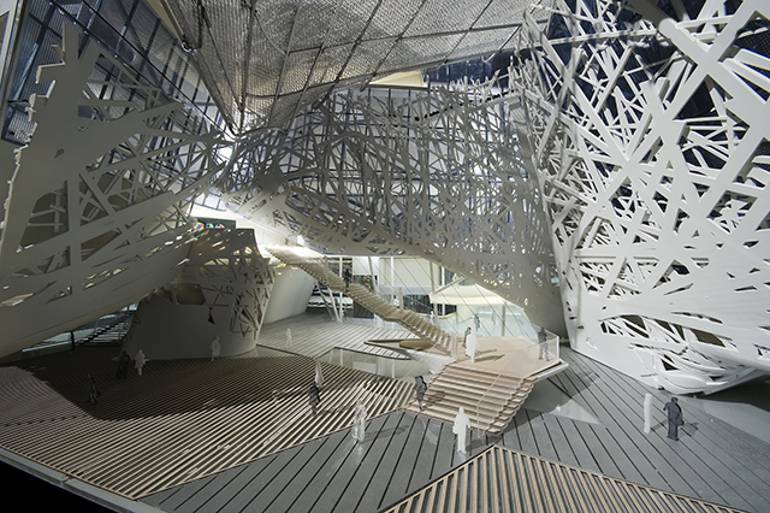 The Italia Palazzo will also feature a canopy of elements on the roof that expand on the overall forest theme. It will include a miniature solar farm which will have a set of solar panels that will generate enough energy for the building’s interior during the day. 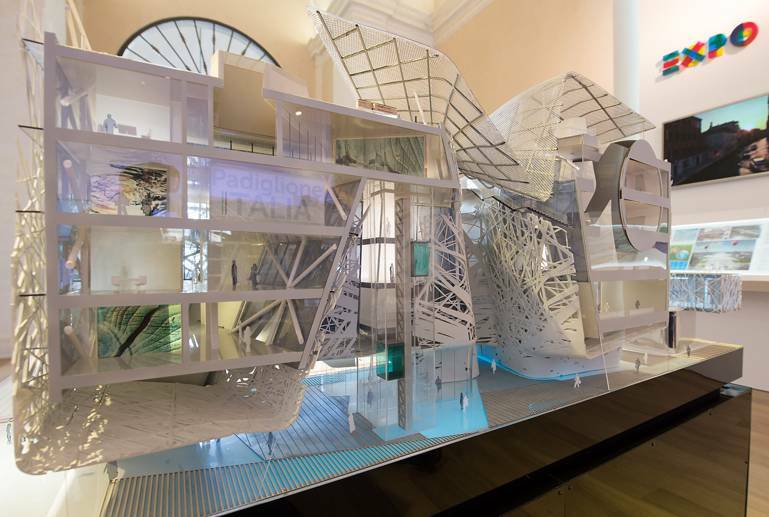 As well as the Italia Palazzo building, Nemesi & Partners are also due to design a series of temporary ‘Cardo buildings’, which will provide additional exhibition space, restaurants and events. 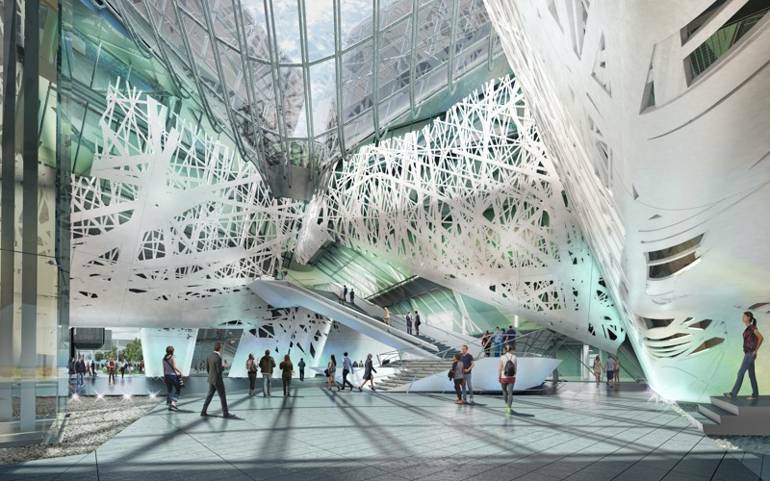 The Palazzo Italia will, according to plans, become a permanent feature of the Italian city of Milan, remaining after the expo has finished.